According to the National Health Statistics, in 2007 the total number of physician office visits approached one billion. I know that number is so 2007, but imagine how many that would be now that 2014 is almost over. Many of us have visited a physician’s office at least once if not more this year and will probably continue to do so again next year. Numerous outbreak reports have described transmission of Gram-negative and Gram-positive bacteria, mycobacteria, viruses, and parasites in the ambulatory settings. In many instances, outbreaks and other adverse events were associated with breakdowns in basic infection prevention procedures (e.g., reuse of syringes leading to transmission of bloodborne viruses). So you see where this is heading…yes..better infection control practice in physician offices. Patients deserve the same level of infection control protection whether they are treated in a hospital or ambulatory care setting, including physician offices. No..there shouldn’t be any difference in infection control practices. It is that simple yet I have seen many nurses practicing in physician offices who either forget this concept or think it doesnt apply to them since most infection control guides are geared towards hospital practice. 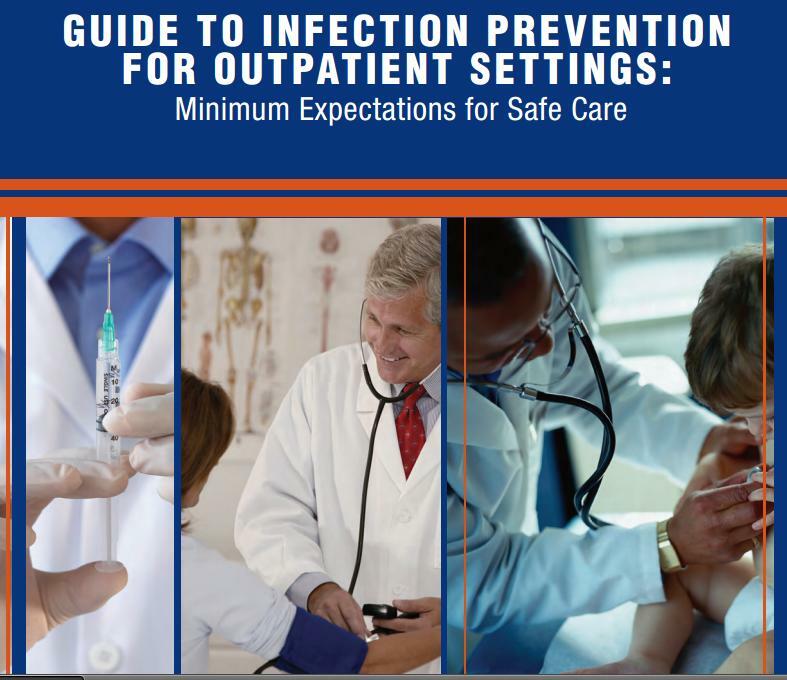 The CDC’s “Guide for Infection Prevention in Outpatient Settings: Minimum Expectations for Safe Care” is a summary guide of infection prevention recommendations for outpatient (ambulatory care) settings. The recommendations included in this document are not new but rather reflect existing evidence-based guidelines produced by the Centers for Disease Control and Prevention and the Healthcare Infection Control Practices Advisory Committee. This summary guide is based primarily upon elements of Standard Precautions and represents the minimum infection prevention expectations for safe care in ambulatory care settings. So if there are CDC guidelines for outpatient settings, why is it still an issue? Just a few thoughts on this..
All patients deserve the same level of infection control protection whether they are treated in a hospital or ambulatory care setting; what if that patient is your mother/family member or a loved one? Thompson ND, Perz JF, Moorman AC, Holmberg SD. Nonhospital Health Care-Associated Hepatitis B and C Virus Transmission: United States, 1998-2008. Annals of Internal Medicine. 2009;150:33-39. ← So much to be Thankful for! !